Bring a contemporary look to your kitchen or bathroom cabinetry with the Liberty 3 inch Arched Pull. This elegant piece of hardware features a Venetian Bronze with Copper Highlights finish along with the clean lines and sleek curves to provide a high-end designer look. The Liberty 3 inch Arched Pull is ideal for casual to transitional home décor. The Liberty 3 in. Antique Brass Decorative Pull will give your cabinetry a touch of elegance. It features a 3 in. center-to-center, rear-mount design for easy installation. The metal base material is built to last and is finished in a vintage antique brass. Includes two 8-32 x 1 in. machine screws for easy rear mount installation. 3 /96mm Dual Mount Channel Pull Consider using the Liberty French Romantics Collection 3 in. 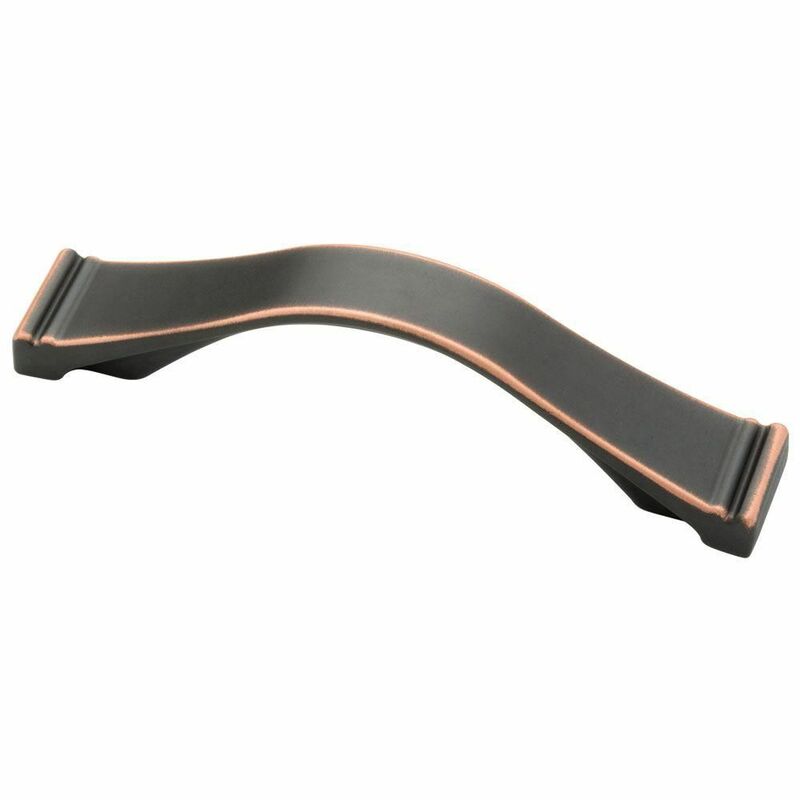 Bronze with Copper Highlights Dual-Mount Channel Pull to accent your kitchen's cabinetry or furniture. This pull is made of die-cast zinc. This pull includes hardware for an easy installation. Casual style design. Poly bag with 8-32 x 1 in. machine screw included. Easy to install. 3 /96mm Dual Mount Channel Pull is rated 4.9 out of 5 by 14. Rated 5 out of 5 by Petsrule from Happy to find these again! Used in other rooms in our house after using in one room previously. W... Happy to find these again! Used in other rooms in our house after using in one room previously. Wish they made the double robe hooks, too. Rated 5 out of 5 by Juls from Fit existing holes.. great for the install!!... Fit existing holes.. great for the install!! Rated 5 out of 5 by HomeDepotCustomer from Very stylish hardware that looks great on our kitchen cabinets.... Very stylish hardware that looks great on our kitchen cabinets. Rated 4 out of 5 by Angela from They weren’t exactly the same as the larger pulls... They weren’t exactly the same as the larger pulls we used but it married well enough. Looks great. Rated 5 out of 5 by hezmitch from Great buy! I love these pulls. I also loved that I could order them online and have them ready to be picked up in the store. Slick!! Rated 5 out of 5 by Kate from Terrific value and nice looking Searched long and hard for all new cabinet pulls that would go with my decor and not bust my budget. Finally found just what I wanted at Home Depot.